Two great recipes – wraps and canapes – are for any spring-time gathering of family and friends. Serve with Fuji apples – apples help remove the infamous ramp odor! Trim the ramp stalks so that only a small amount of green top remains. Save the tops and leaves for the other recipe below. Fold the corned beef slices in half. Spread the slices with equal amounts of cream cheese. 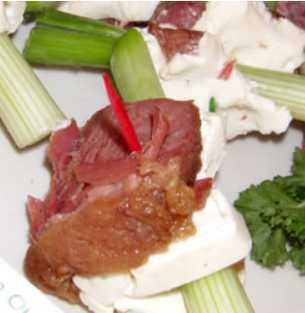 Place the ramp stalk on the cream cheese. Roll the corned beef slices so that the green onion stalks stick out slightly. Serve chilled. 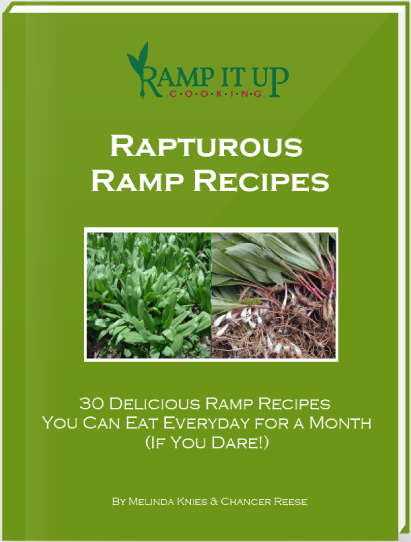 Finely chop and mince the ramp leaves. Mix the leaves together with the hot sauce, cream cheese and the salt. Chill to let the favors mix. Spread on crackers or toasted bread squares.